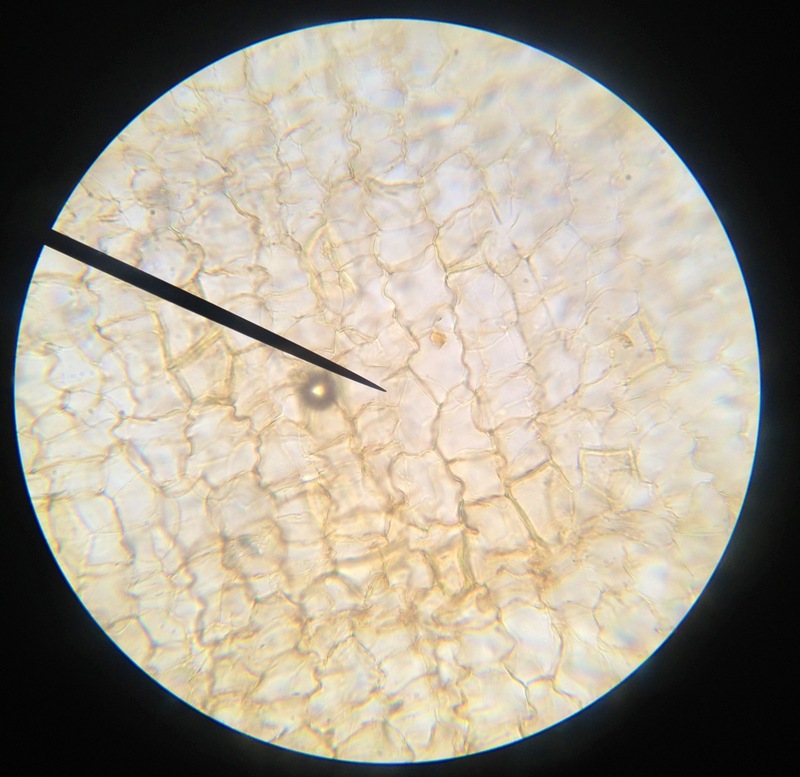 Onion (Epithelial tissue) at 4X. Onion cells–epithelial tissue–at 40X (Notice the well defined nuclei). This entry was tagged Chapter 46.1: Epithelial Tissue, Microscopy. Bookmark the permalink. Last week in the biology class i had no idea that we had epithelial tissue. In fact, i didn’t even know what that meant, but now that i see this pictures its very impressing that not only humans have this kinds of tissues. 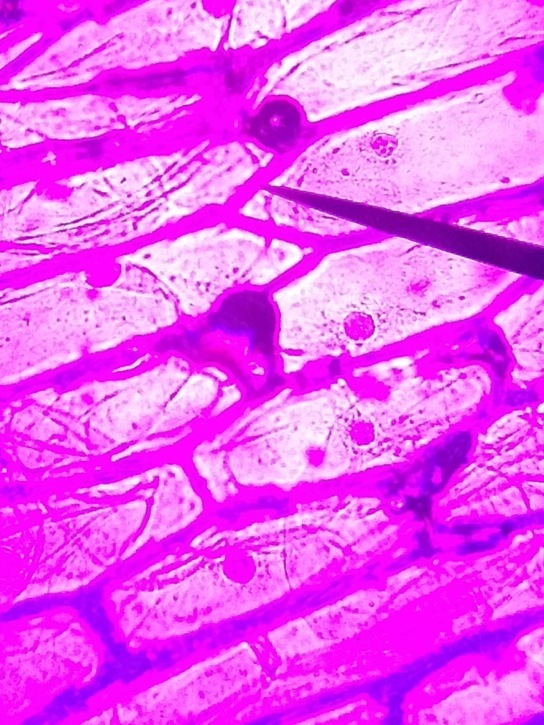 ( Even onions have epithelial tissues)! Yours is a comment that I’m forced to treasure more than many, You understood something better from images on the blog that from the pages of a Bio textbook. Keep up the good work, Daisy. Its amazing how different can an onion look compare to its own cell, for they look with extreme differences. Using a microscope can change the point of view for people. You are right. The microscope—like the telescope—changed not just the way people look at nature, but changed the human experience on this planet as well. Check out the microscopy images that won a very important contest last year—via National Geographic. And to think that a mere 200 years ago people weren’t aware of cells. The wonder that goes with looking through a microscope—telescope—never fades. Greetings! Very useful advice within this post! It’s the little changes that produce the largest changes. Thanks for sharing! The microscopic world is as vast and big as the world we see with our naked eye. The fact that we are still amazed by the microscopic world—200 years after its invention—proves the importance of this technological achievement. 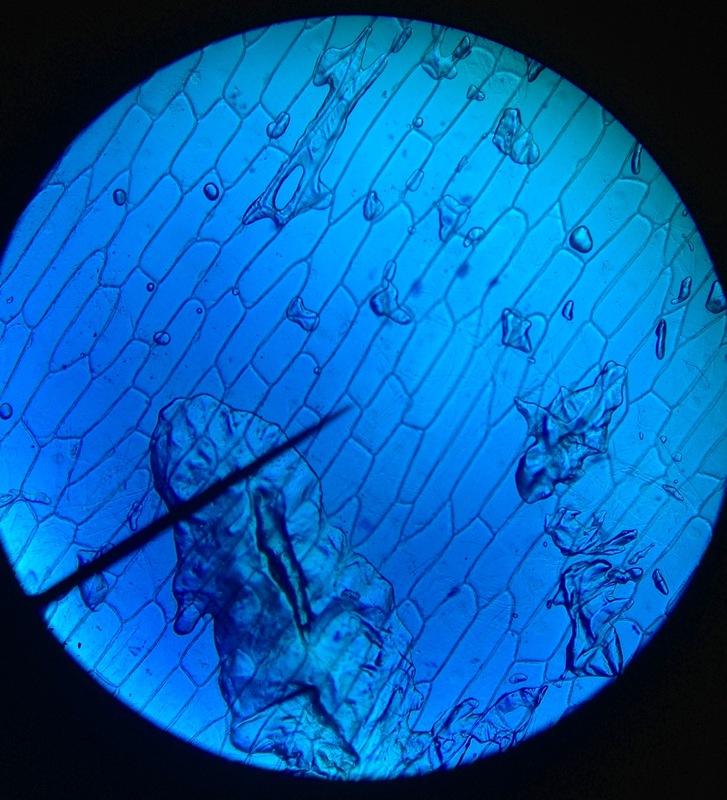 Plant cells are rigidly contained in cell walls; animal cells are more flexible. I believe that a 1,000X magnification would allow us to catch a glimpse of chloroplasts. Two years ago, when performing this project, it caught my attention the fact that the onion’s epithelial tissue resembled a lot those from humans. To realize and become aware that onions, like humans, have tissues that function in the same manner makes me want to explore beyond what I already learned, since there is probably more ironic and peculiar situations to science. Biology—like the the resulting machines of engineering—is modular: whatever works is repeated, preserved, and eventually modified, maintaining that which worked. We see many patterns that repeat in evolution, suggesting that we are all related. It is amazing how much there is to see and how little our eye can see. The complexity of cells and their little size makes i something to be admired. The sight of a living organism, moving in the field of view of a microscope, will never cease to amaze me. This is what we did in our lab! It was so cool. The first time was tissue from the cheek I think. It was truly awesome to see it in more detail. And to think that a few decades ago it would have been unimaginable for a student to take pictures of what they were seeing under a microscope. This is a new way of taking notes, by making good use of technology; an actual smart use of a smartphone. This is how people should use technology to their advantage. The size of these cells are way bigger than molecules. These are cork and epithelial—human—cells: millions of times bigger than a DNA molecule, and DNA is a huge molecule. I agree with Angeica, I would have never believed it if anyone told me that we, humans, and onions have common tissues. It’s just silly to think because onions are food! Humans are food as well. And humans also eat—consumers, heterotrophs. Wow like angelica and daisy i had no idea that onions and humans share same cells. This lab was really fun and educational i enjoyed it very much. it is very interesting how much you learn at school new things that you wouldn’t even imagine, if somebody came to me and told me that humans and onions share the same cells i wouldn’t believe them. i really enjoy this experiment in class. That’s good to know Meilyn. Keep up the good work. This images are awesome. I am amazed that humans and onions share a common tissue. This lab was fun and educational. It’s amazing how things change shape, color and structure when we observe it on a microscope. This is really interesting because we learn more about the things we see and eat in our daily lifes. woow this is great i had no idea onions could share same cells as us, great blog post ! I would have never recognized that cell as a cell of a onion. It looks so different! And also it does not look like a couple of 15-16 year olds did this. It looks so scientific. Its interesting how humans have the same tissues as onions which are the epithelial tissue. 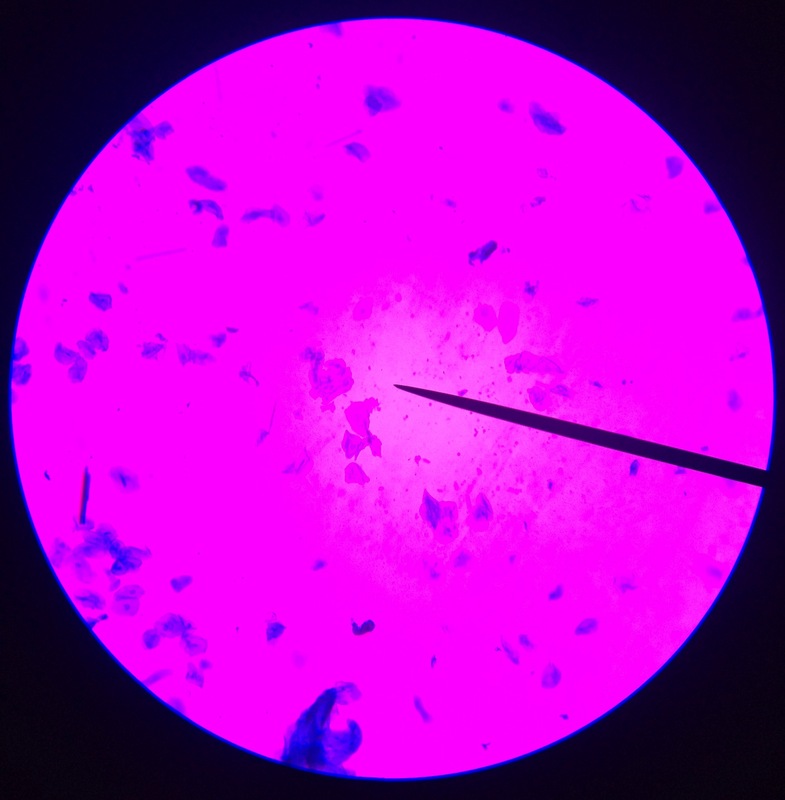 When I saw the onion tissue in the classroom by a microscope they looked so different and abstract! The last thing I expected was that an union had anything in common with a human… It reminds me of a the post that said that all animals have something in common, even though that the union isn’t an animal, it shares characteristics with humans and other animals. It is intresting how microscopes can change your view to see things into a very different way. I learned more and quicker see the pictures than reading a article or a book. Perspectives are amazing. Scales as well. The universe is small and big; it is measured in nanometers and light years. And with microscopes, the vastness of the universe can be partially unveiled—via the fluttering cilia of Blepharisma. we can look at stars. The whole veil has been lifted. Wow , this is really nice I didn’t know we shared common tissue with onions that was very strange jaja ,I still find the microscope a very important instrument for humans to keep doing this researches. This was by far the most interesting lad we did this year. I loved the different cells we got to see. Besides being grossed out by some it was awesome. These pictures remind me of when we did our first lab exercise with microscopes. At first it was kind of hard to focus the lenses but once you get the hang of it its actually kind of fun. we haven’t looked at organisms in class yet so I’ve decided to look for some. It turns out that pond water has lots of different microorganisms in it. take a look, this picture is the one I found that has the most different kinds in my opinion. There can be hundreds of microorganisms in a single drop of water. Imagine what this would’ve meant 200 years ago, seeing microorganisms for the first time in history.